"Tax reform is complicated, painful and personal by design." "Tax reform was launched in 1985 with a scene that's almost unimaginable today: a televised speech by Reagan, a Republican, followed by a Democratic response by Dan Rostenkowski, the chairman of the House Ways and Means Committee, endorsing the president's initiative." "The fate of tax reform will rest on policymakers' ability to find acceptable revenue raisers. ... Some GOP leaders today appear to believe that their plans don't need to be tested in that way." Another reason the border-adjustment tax is in trouble ... N.Y. Times lead story, "Divide in G.O.P. 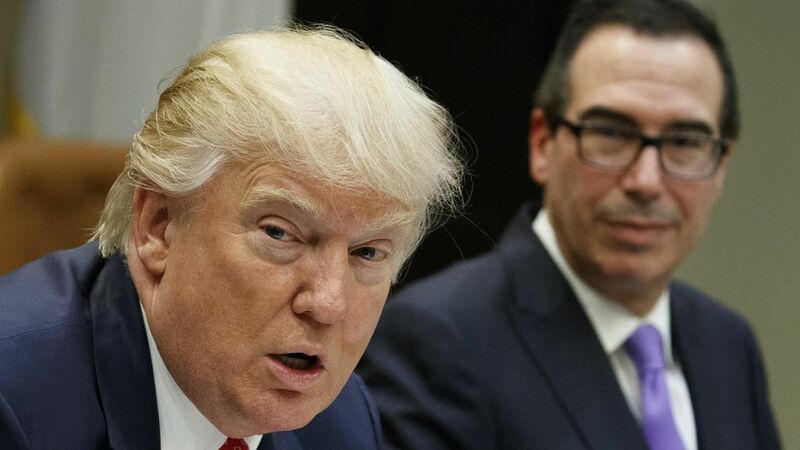 Now Threatens Trump Tax Plan," by Nick Confessore and Alan Rappeport: "Koch has circulated studies indicating that the tax would increase the price of gasoline."